I’m sure most of you have seen this already, but if you haven’t take a look at this hack of Donkey Kong with the gender roles reversed. Now we just need a hack of the Temple of Doom arcade machine where a small child with a whip rescues dozens of captured American archaeologists in fedoras. Discovering that games you’ve known for ages and been a bit dismissive of before are actually quite good, an occasional series. This last couple of days I’ve really been enjoying playing Dragon Ninja (known in that America as Bad Dudes vs Dragonninja). I’ve been playing it for years and never really cared all that much for it thinking of it as a piece of nostalgic fluff but the other day something clicked and I got right into it. I think the main secret of enjoying Dragon Ninja is really simple: play it using only the one coin and don’t use continues. When you aren’t able to just stick another credit in and play on it stops being so straightforward and actually becomes both challenging and highly enjoyable. For an ’80s coin-op game it’s also really fair on you, giving you plenty of opportunities to avoid the bad guys and get a swift kick in there before they do the same to you. It’s also charmingly of it’s time, with its cheesy Reagan-referencing storyline and the “bad dudes” late-80s get-up (white jeans!). I also love the motorway-set second level (something very similar also appears in the Gameboy colour take on Shinobi) and the way that it’s basically similar bad guys all the way through. It really feels like you’re taking on a massive hoard of ninjas. Still can’t get past the multiplying ninja-bloke at the end of stage 3, though. Now with added extra stuff! 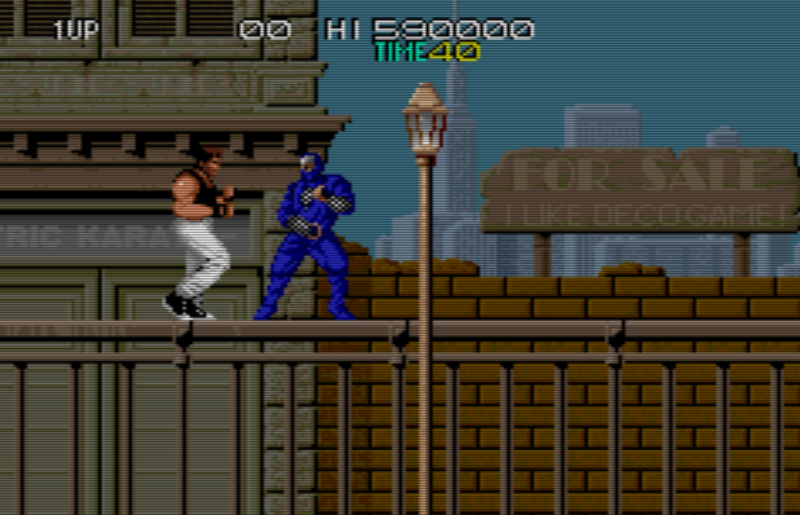 The Sega Megadrive version of Mercs has a whole alternative version of the game to play alongside the arcade orignal. The Megadrive version of the stupidly-named shooter Slap Fight has the same. Bignonia’s unofficial Amiga conversions of the C64 version of conversions of old arcade machines (did that make sense?) include extra levels, including a whole new stage for their conversion of Donkey Kong. The Gameboy Advance cartridge Arcade Advance features conversions of a number of ’80s arcade games but using the Konami Code reveals a whole bunch of alternative and enhanced versions including Rush’n’Attack/Green Beret having additional levels. I seem to remember reading that the Megadrive version of Golden Axe features an additional level. 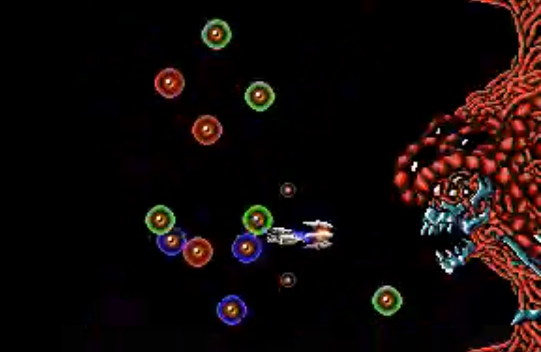 As I discovered on YouTube today, the Sega Master System version of R-Type has a new hidden level. Can anyone think of any others? I’ll post more here under the appropriate tag as I discover/remember them.